With its colorful composition and flower petal-shaped lines, this abstract triptych pervades you with an invitation to dream! 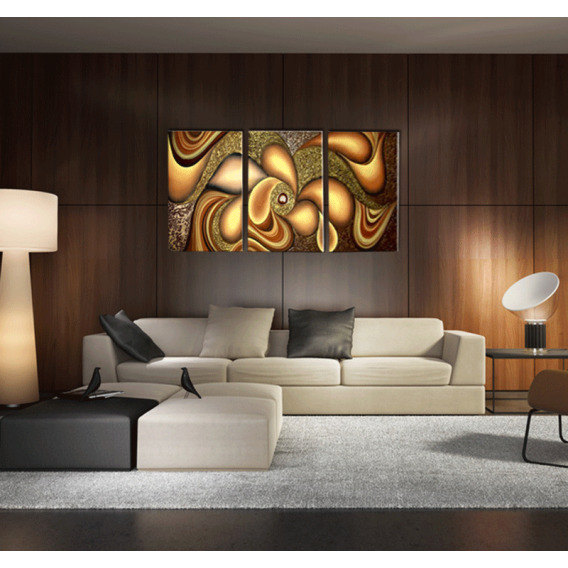 Free delivery within 48/72 hours in metropolitan France for this wall canvas painting. Our contemporary paintings are treated to withstand UV and moisture. Consisting of three symmetric panels, this contemporary piece reminds us of the wild times of "hippies", and in particular the flower power! 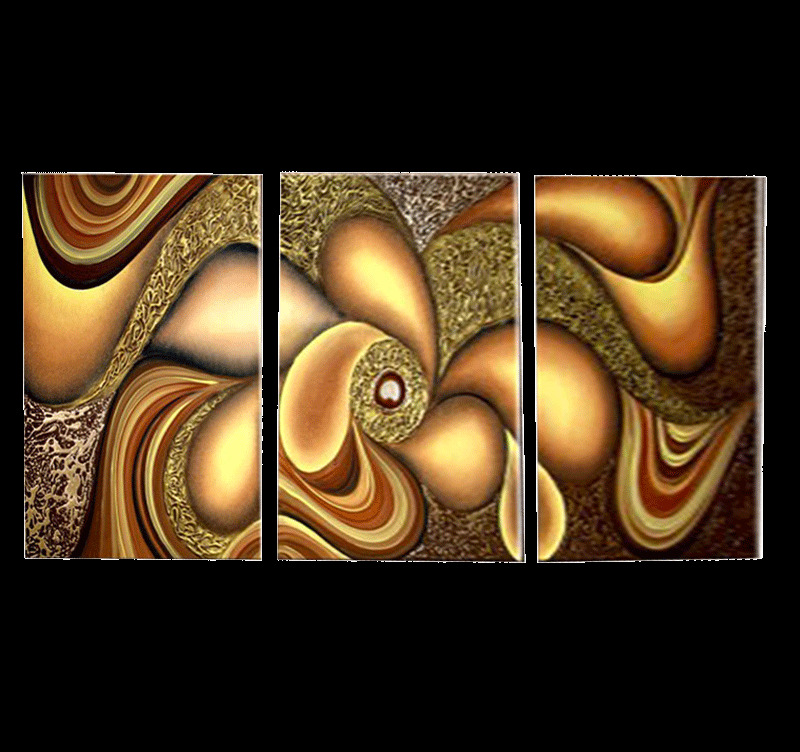 This modern and decorative polyptych, enhanced by a highly unique style with gold and cream colors, will make you travel through time. Let this canvas painting relax you and instill an unparalleled serenity in your interior via its colors and original brush strokes. The modern pieces from this category are painted on cotton canvas and stretched over a frame made of Canadian pine wood, ready to hang. The hand-painted canvases are delivered with cardboard corners and hanging hooks. All the canvases falling into the paintings category are original artworks; painted by our artists, they are then treated to withstand UV and moisture to ensure optimal rendering and lifetime.